Longboards were invented in Hawaii by surfers in the 50’s so they could practice when the waves were not cooperating. It is now one of the fastest growing sports with its exposure from the X-Games. Longboarding is a thrilling, addictive sport and if your looking to get your first longboard or your tenth, you’re in the right place. We are going to review the best longboards for beginners and cruising in this article. So let’s get to it! Here is a feature overview of my top rated longboards, with full reviews and our buyers guide below. The first board we’re going to talk about is the Atom Drop Through Longboard. The deck is composed of eight layers of maple laminate. It’s a drop through model with cutouts above the wheels, so it doesn’t sacrifice wheel clearance for stability. It comes with a pair of 50 degree angled trucks that have seven inch, aluminum hangers. The turning radius is a bit wide on this board, but nothing extraordinary. The wheels that come with this board are 70 mm diameter by 51 mm in width. They’re not too hard (78a) and built for traction. These wheels are good for beginning riders, but advanced riders would probably find them too slow. On the other hand, this complete set comes with ABEC 9 bearings, which are super fast. This is a good board for a beginner to mid-level rider. It’s got a nice, wide deck that makes riding a comfortable experience and the cutout style means you’ll never have to worry about wheel bite. 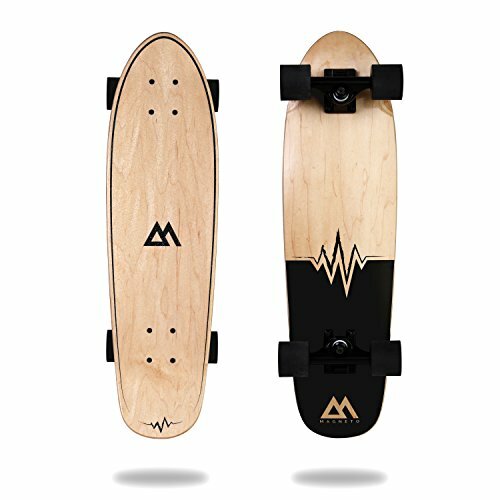 When you consider the low price of the board, this is a really good deal for the best cheap longboard. If you’re new to skateboarding or longboarding, the Penny Skateboards Complete Longboard is one of the best boards you can buy to get into the sport. It’s super affordable and highly flexible. Its deck is takes the classic pintail shape and is made from plastic, rather than wood, which is a bit unique. New riders like the flexibility and strength this provides. The wheels are soft, but if you ride on well-paved roads it won’t be an issue. Despite the low durometer of the wheels, this little board can gather quite a bit of speed very quickly. It’s such an easy ride I’ve heard parents of young skateboarders tout its entertainment value. Video: See the Penny Longboard in action. 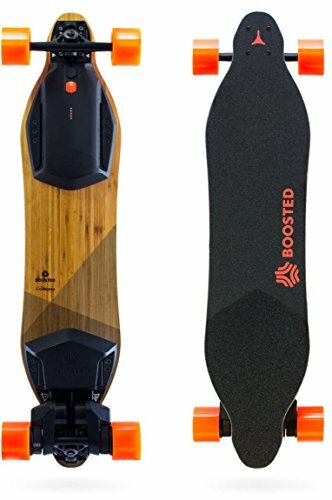 If you’re considering trying out longboarding, but don’t want to throw a ton of money or thought into your next purchase, this is the board I’d recommend for you. You’ll barely have to break a hundred to get your hands on a quick beginners board. Apparently, Penny Skateboards stopped making them a year or two ago. So if you’re interested, don’t delay! In my opinion the Penny is the best longboard under $100, hands down. This complete board is much more advanced than the previous two. It’s actually built with downhill riding in mind, yet is more geared to beginners than it is toward advanced riders. It’s made from five plies of laminated bamboo and measures 9.6 inches in width by 42 inches in length. It’s built in cutout style with drop through mounted trucks. It therefore has a low center of gravity (which is especially useful for taller riders) and high turning ability. The wheels are decent, if a little soft. They’re 74 mm in diameter with a hardness rating of 78A. One thing that could be better about this setup is the bearings. If you have better ones lying around, you may want to make the switch. If not, it’s not a big deal. While this board may be designed for controlled downhill riding, it’s also technically capable, meaning that it’s fine for someone who wants to spend their time doing tricks on flat ground instead of bombing hills. Last of all, the price of this board is a bit higher than the previous two. But that being said, it isn’t really too bad and when considering the price/value I think its the best beginner longboard. The Fractal is nine inches wide and 36 inches long—a short length for a longboard. Its shortness makes it more agile than normal boards, but also slower. It’s made of eight-ply maple sheets and has drop through mounting and cutouts above the wheels. The deck has a slight concave mold. It comes with cutout wheels, square lipped wheels, and ABEC 5 bearings. The wheels that come with this set are on the small side (69 millimeters in diameter) and soft. The Sector 9 Fractal is built for people looking for good turning and cruising ability in a compact board. That makes it portable and convenient—two qualities that most longboards lack. The glaring weak point of this setup is probably the bearings. ABEC 5s are okay, but they’re not very fast or anything. The good news about this is that bearings are relatively cheap; you can make the upgrade for around fifteen dollars. And, speaking of money, this board is pretty middling in terms of price. It’s slightly more expensive than the Sector 9 Blue Wave, but still not too bad. This is probably the best drop through longboard for the money. If you’re looking for a complete deck that can handle just about anything, this is the one for you. The first things you notice about this complete are the wheels; they are large, square lipped, and built for a balance of traction and speed. Unlike any other wheels I’ve ever seen, they are made with a texturized pattern—similar to a wicker basket—on the surface. They’re rated at 78A and measure 100 millimeters in diameter by 65 millimeters in depth. Since these wheels are meant to handle rough terrain, they won’t have any problem in a normal street environment. The next thing you’ll notice about the board is that it’s a drop deck model. That means that the board drops down in the center, while maintaining a “normal” height over the trucks. Video: See the MBS All-Terrain in action. This has the effect of making it easier to push and lowering the center of gravity of the rider. My one worry about this is that there might not be enough clearance for some terrains. The deck is also made of maple wood and has cutout sections above the wheels to eliminate the problem of wheel bite. Lastly, this complete set comes with ABEC 9 bearings that are rubber-shielded to protect them from whatever environment you might choose to ride in. This complete is perfect for downhill carving. As indicated by the name, this is a drop deck, meant for increasing stability and reducing the strain of pushing it around town. This maple deck is very wide in the middle—9.6 inches—which gives the rider a lot of leverage during turns. Its length is 41 inches: not too long, not too short. This gives it a good blend of speed and stability for downhill riding. 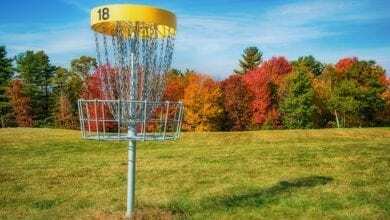 The speed of this complete isn’t really anything to write home about—which is kind of a good thing, if you’re a downhill beginner. It comes with ABEC 5 bearings that are decent, but not scary fast. Its wheels are soft and square lipped, so they provide a lot of traction and surface area. 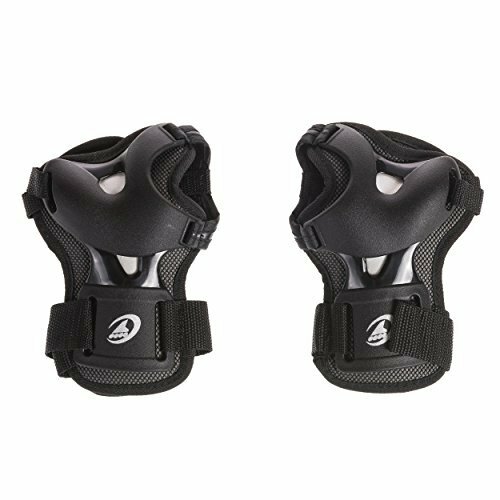 This makes them good for stability while riding, but bad for slides. Their diameter is 70 millimeters and their width is 51 millimeters. 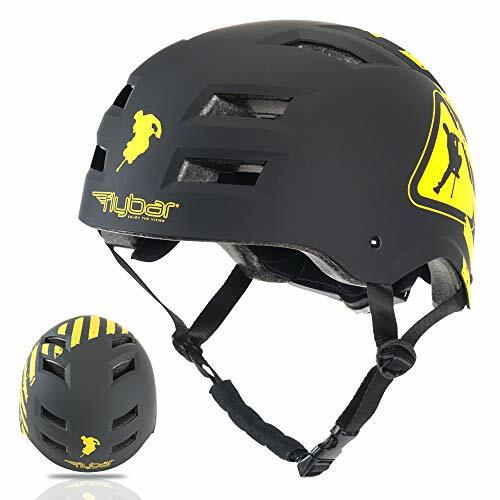 Ultimately, this is a fine board for a young rider who wants to experiment with downhill riding for the first time. It trades speed for stability while really focusing on the carving aspect of the sport. 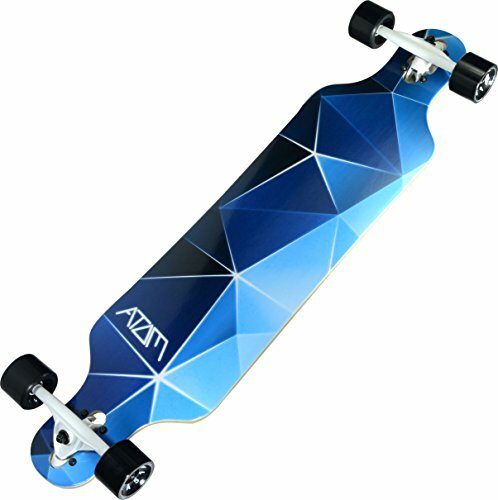 It’s not expensive at all, so it might be a good first board for a young child who has voiced some desire to try longboarding. Now this is a classic. This Hawaiian-made pintail mini cruiser is heavily reminiscent of the Hawaiian origins of the longboard. Its bamboo wood and tribal designs invoke the beach while its shape resembles a miniature surfboard. Unlike most boards, which have black grip tape, this complete deck comes with clear grip tape that lets you see the wood strips while riding. Beyond their visual appeal, the layered bamboo wood gives the board a highly flexible feel. Other than that, this deck is about as basic as you can get—it kind of looks like the profile of a skateboard a child might draw. There are no cutouts, no drop down section and the trucks are mounted in the normal fashion—on the bottom of the board. Video: Overview of the JUCKER HAWAII Longboards. The tail is slightly elevated for quick steering and perhaps some tricks. The short stature of the board increases steering while sacrificing speed. This set comes with pretty standard 65 mm, 80A wheels that, while not particularly fast, give it the smooth riding feel particular to longboards. One of the best examples of bamboo longboards you can find. If you’re looking for pure, unadulterated speed, this board is the one for you. At 44 inches of length, it is longer (and therefore faster!) than the average longboard. The deck itself is rather broad, built in a blunt style, and composed of bamboos. While the board is relatively heavy at over nine pounds, it still retains a lot of flexibility. It has an elevated tail for doing tricks and is 9.5 inches across. It comes with ABEC 7 bearings, and hard wheels that further its speed. The wheels are small for a longboard—70x51mm. Because of this, this complete is well suited to anyone looking for a fast cruiser or a technical ride capable of performing tricks. People describe this board as suitable for beginners and advanced riders alike, but I personally think that it might be a bit too fast for a strict beginner. However, if you are considering this complete, and you think you can handle it, my advice is just to go for it! It’s an absolutely great deal. It’s rare to find such a competent board for Wal-Mart prices, but that’s what you have here. One of the best cruiser skateboards available at any price. Another surf-inspired blunt cruiser, this deck is made solid with a seven-ply blend of maple and bamboo woods. The blend on maple and bamboo woods gives it a nice balance between strength and flexibility. It has a kick tail and nose for performance and, where other boards have cutout sections to avoid the wheels, this deck has wheel wells—pre-shaved areas of the board that are designed not to come in contact with the wheel. The deck is definitely on the longer side of things, at 44 inches. The wheels that come with this complete are a bit harder than most of the other wheels in this review. Their rating is 80A and they’re 70 millimeters in diameter. Even though they’re square-lipped, they’re hard and fast enough to make up for it. That gives this board a nice combination of traction, stability and speed that make it a good longboard cruiser for almost any situation. One thing about this board that you might want to be on the lookout for is its turning radius. The trucks on this board aren’t really made for carving or quick turning. They’re created with downhill riding and easy cruising in mind. If you want carving ability, you might want to consider replacing these trucks with some new ones or trying a different board all together. This board is a great choice for anyone interested in downhill riding, carving, or cruising. The first thing you’ll notice about it is that the trucks are mounted at the top of the board, thereby lowering the deck by the depth of the kingpins. Doing so creates a slightly more stable and well-balanced ride—perfect for beginners to the sport. The deck itself is highly durable, and made from maple laminate. It’s 41 inches long and the board has cutout sections above the wheels that increase its maneuverability and eliminate the dangers of wheel bite. The complete set comes with ABEC 5 bearings (again, you can replace these for under $15!) and 78A wheels with 70-millimeter diameters. They aren’t great for siding, but that’s not really what this board is built for anyway. If you’re looking for a solid beginners’ board at a low price, this could be your board. It’s available for under a hundred dollars in some places and is made by a reputable company based in the United States. Bonus review, I just couldn’t leave this board off as it might be my favorite longboard, at least aesthetically speaking. The combination of nine-ply bamboo and white maple strips make this board a thing of beauty and strength. The clear grip tape adds to the visual appeal by letting you stare down at the pristine wood stripes of your new longboard. At 41 inches by 9.5 inches, it’s on the larger end of a longboard skateboard. The deck is built in drop down fashion with cutouts for increased turning ability. This board is built to be comfortable. Its drop down deck and concavity makes it a great cruiser that won’t cause a lot of strain for the rider. Its large surface area is meant to simulate the feel of riding a surfboard, according to the company. Even though it’s big, it weighs only eight and a half pounds; so carrying it around isn’t a huge inconvenience. It owes its light weight to its bamboo composition. As far as wheels and bearings, it comes with the standard 78A that we’ve seen a lot of complete longboards come with. The bearings are ABEC 9 Hellions with built in spacers, which are good for smooth, even speeds. This board is a bit more expensive than some in this review, but not by too much. If the extra twenty or thirty bucks are a big deal to you, go with something else. But if you don’t mind paying a little more money for a nicer product, you’ll like what you get with White Wave. Four decades later, as skateboarding rose to prominence, longboarding also enjoyed a resurgence. Propelled to new heights by events like the X Games and the sport’s own version of celebrity athletes like Tony Hawk and Bam Margera, longboarding (and skateboarding in general) became regarded as a serious sport in its own right. Today, longboarding takes many forms. It is not only a form of transportation, but also the basis for extreme sports. A culture unique to lonaboarding has also emerged: a kind of skater/surfer ethos that blends the thrill-seeking behavior necessary to hurl one’s self down a hill at a high velocity with the relaxed attitude endemic to the shores of Hawaii. Longboard riding can be broken down into four fundamental styles: cruising, carving, downhill, and freestyle. Probably the most popular activity to do on a longboard. Cruising is simply riding a longboard around recreationally. One of the greatest things about longboarding is that it’s a fast and (relatively!) easy way to get around town. Boards made for cruising are usually flexible and have soft wheels, which makes riding them a smooth affair. Related to cruising, carving is a style of riding similar to snowboarding. Like cruising, riding is the point in itself. However, where cruising is typically done on relatively flat ground, carving is best done on gradual hills so as to avoid the need to push. Carving down a hill involves making large “S-shaped” movements to avoid picking up too much speed. This should be relaxing and allow the rider to maintain control over their velocity. Carving is a fundamental part of longboarding. The best boards for carving often have soft wheels that are resistant to slipping on tight turns. They also need to have really responsive trucks in order to turn better. If you’re looking for something more extreme than simply getting from point A to point B, you’re in luck: downhill racing and freestyle longboarding are two of the most intense times to be had on four wheels. Downhill longboarding has become a sport in its own right—and not by virtue of being boring; crashes are part of the sport! Longboarders plunge down hills at speeds exceeding 50 miles per hour (though speeds above 80 miles per hour have been measured), all while navigating a course. Downhill longboards tend to be lower to the ground than other forms of longboards, thereby allowing the rider to gather speed with less energy and maintain their balance better. Downhill boards usually are less flexible than other types of longboards. They’re built for control rather than steering—a quick turn at a high speed could easily result in taking a bad spill. Because of the inherent danger, downhill longboarding isn’t recommended for beginners to the sport. 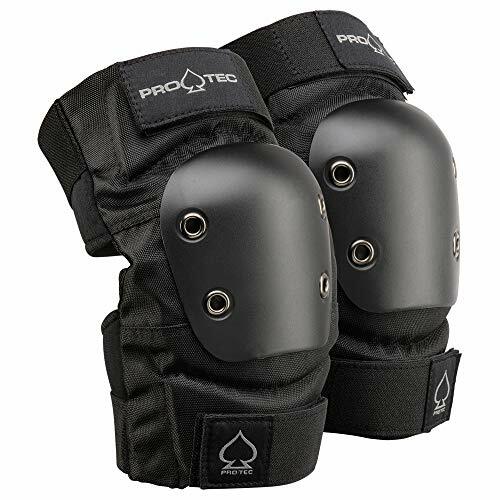 Before you try downhill boarding, make sure you can slide and for the love of god, buy some protective equipment. The last kind of longboarding is called freestyle or freeriding. It’s a loosely defined genre of the sport that essentially involves adding tricks to more casual forms of longboarding. There’s no reason you can’t incorporate a power slide into your commute to work or school, right? Like regular skateboards, longboards can also be used for tricks. Some longboarding tricks revolve around riding, such as power slides or tigerclaws. Others, however, more closely approximate those of normal skateboarding, for example, shuvits, barrel rolls, and various flipping moves. One thing you’ll notice about longboards is that there are many more forms of them than skateboards. Each type of board has different features that make them more suitable to certain activities or scenarios than others. For that reason, you may want to consider a certain type of board if you know you’re more likely to be bombing a hill than taking a relaxing ride through campus, for example. There are seven basic types of longboards: pintail, fishtail, blunt, twin, cutout, drop down, and speedboard. Pintail: These boards are mostly used for cruising around. They closely resemble their surfboard ancestors in shape, coming to near points at the ends of a long, wide board. Their tapered ends allow for slightly larger wheels than other models. These boards are good for carving and non-technical types of riding. Fishtail: Fishtail boards are usually a bit shorter than pintail boards. They share pintails’ pointed nose. They’re good for cruising as well, and their more compact shape lends to a more portable longboard then other types—perfect for improving a bus commute or bringing with you in a car. Blunt: These boards are less pointed than the previous types (hence the name) and therefore offer less clearance for wheels. Compared to fishtails and pintails, they more closely recall the shape of a traditional skateboard or snowboard. To compensate for this, these kinds of boards will occasionally come with wheel wells or risers that allow for larger and more stable wheels. Twin boards: This type of boards are easy to confuse with regular skateboards; they look like fatter, heavier versions of the typical street skateboard. In fact, you could simply attach some risers and longboard wheels to a regular skateboard and just about have one of these. When used for longboarding, they are relatively stable and good for skate parks or flat ground. Cutouts: These are the weirdly shaped longboards you see downhill riders embracing. As the name implies, these boards have “cut out” sections about the wheels to provide maximum clearance, and thus, the greatest turning ability. These boards are designed symmetrically, so they can be ridden regardless of the direction the rider happens to be facing. 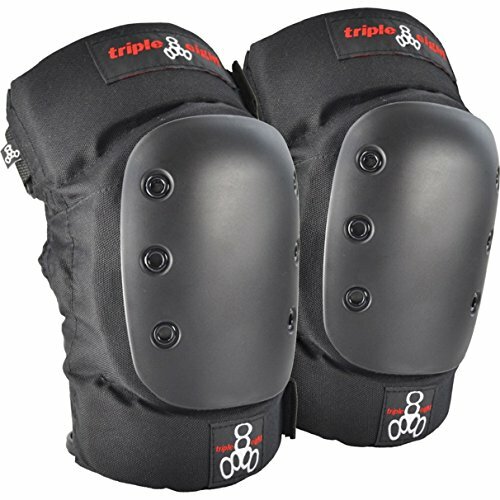 This is useful in freestyle and downhill longboarding, where the rider might need to power slide. Drop Down: These boards are kind of weird as well. The section of the board above the trucks is elevated in relation to the middle of the deck, which reduces the distance the rider’s leg has to “travel” to pump. The main effect of this is that it relieves a lot of the strain on the legs that is typical with cruising. Because the deck is lower than usual, drop down boards will often also have cutout sections above the wheels to avoid sacrificing wheel clearance. Speedboards: A speedboard is, perhaps unsurprisingly, built to travel with great stability at high speeds. Therefore, they usually have very tight, inflexible bodies and modifications that allow them to fit large, stable wheels. Their body usually resembles a blunt board or pintail board. This is designed to lower the board to the ground, making it easier to pump, but sometimes sacrificing maneuverability. It also increases stability. For that reason, these kinds of boards are the preference of downhill riders and long distance riders. The other type of trucks resembles the traditional skateboard model. The trucks are simply mounted on the underside of the board, which increases the height of the deck and slightly decreases stability. The upside is that the turning ability of the board is increased. These decks are the favorites of people looking to do carving and freeriding. Longboards, there is a tradeoff to be had between deck length and stability. The longer a board is, the more stable it will be at high speeds. The other side of that coin is that “long” boards aren’t able to turn as quickly as shorter boards. Shorter boards are more maneuverable, but can be a poor choice for going down a hill at high speeds. Beginners, should probably stick to the shorter end of the spectrum, especially if they have skateboard-riding experience. Not only are shorter boards a more natural feel, they’re easier to control. Don’t go too short, though; really short boards can be challenging to ride and make you feel like there’s nowhere to put your feet, which is kind of a weird feeling. Another thing to watch for in a deck is its flexibility. The more flexible a board is, the more forgiving it is. Flexible boards are conducive to cruising around and doing moderately difficult tricks. They aren’t really a favorite of those looking to maximize speed. In fact, they can get pretty unstable at high speeds. Hard boards, are more stable when you’re going fast. If you’re looking to bomb a hill, these are the boards for you. However, they aren’t very forgiving on uneven surfaces. For that reason, I wouldn’t recommend them for beginners. Lastly, let’s talk a bit about the kinds of materials boards are often made of. The three main types are wood (usually maple or birch), bamboo, or carbon fiber. Cheap longboards are typically made of birch. Wood boards are the heaviest, while carbon fiber boards are often the lightest. Carbon fiber boards tend to be expensive, as well. Cruisers would typically be made out of bamboo or wood, whereas the best downhill racers are usually made out of carbon fiber. Unlike traditional skateboards, which have wheels that max out around 60 mm in diameter, longboard wheels can span up to 107 mm across. Second, they don’t catch on cracks or debris the same way skateboards do. In other words, they’re much safer to ride around on at high speeds, though calling them “safe” would be a mischaracterization. Round-lipped wheels are like normal skateboard wheels, and provide less traction on turns. Because of this, they are the choice of freestyle riders who like to do slides or otherwise reorient themselves on their boards. Square-lipped wheels, alternatively, offer much more surface area. They obviously aren’t square shaped in a typical sense. Rather, the name comes from the perpendicular angle between the ground and the overhang of the wheel. Because of their enhanced stability, these wheels are best for downhill riding and cruising or carving. The amount of surface area a wheel offers is also influenced by its width (note: I don’t mean its diameter here). The wider a wheel is, the more surface area it has and the more stability it offers. The downside: depending on how you feel about cruising down a hill at 50 miles per hour, is that wheels with more surface area slow you down. If speed is your objective, you’d prefer to have a narrow wheel. The last thing you want to look out for with regard to wheels is their hardness. This is measured by a concept called “durometer.” Wheels are given both a number and a letter to indicate their hardness. The letter “A” indicates that a wheel is composed of a softer rubber, while letter “B” wheels are made from harder material. Wheels with higher numbers are harder than wheels with lower numbers. A good rating for a beginner is probably somewhere in the high seventies to low eighties. The harder a wheel is, the faster you’ll go and the more likely you’ll be to go into a slide—intentionally or otherwise! Softer wheels have a somewhat rubbery feel to them and offer a smoother ride. If you’re just looking to cruise around town, soft wheels are definitely the way to go! Of course, wheels don’t spin on their own. Inside the core of the wheels sit the bearings. Bearings are rated by the ABEC system—the higher the number (for example, ABEC 7), the faster the bearings will spin. Beginners should stick to bearings of ABEC 3, generally. ABEC 5s are good for cruising around town and carving, while ABEC 7s are specifically used for downhill racing. Trucks are the pieces that attach to the deck and on which the wheels are installed. The trucks of a longboard are what determines how your board turns and its stability. There are two primary ways trucks can impact your turning ability. The first is the bushing, the rubber pads between the kingpins and the baseplates of the trucks. The harder the bushings are, the more weight you’ll have to use to turn the board. Consequently, softer bushings mean a more steerable ride. For downhill riders, hard bushings are the way to go. A board that turns too easily will be dangerous at such high speeds. For cruisers or carvers, soft bushings will be the better choice. The other feature of the trucks that is responsible for the turning ability of your longboard is the kingpin. The kingpin is essentially a bolt that tightens around the bushing, thereby compressing it or relaxing it. The more compressed a bushing is, the harder it will be and the less you’ll be able to turn. In this way, kingpins offer a kind of adjustability to your longboard settings. One last thing to look out for: the angle of the kingpin. The standard angle for a new rider is 50 degrees. That is sort of the middle ground that provides enough stability for a downhill rider while keeping it loose enough for a cruiser to maneuver about. A new rider might want a lower angle, as this will reduce the ease with which the board turns and increase their control. That’s it for this review. Hopefully you learned a thing or two about longboards and their components. If you think longboarding might be for you, I encourage you to seriously consider buying one of the complete boards in this review and giving it a test drive, so to speak! Q: Which longboard is best for cruising? A: Its difficult to say one longboard is best for cruising but the JUCKER HAWAII Longboard MAKAHA is a highly regard cruising longboard and should be adequate for most people. Q: What are the best kind of bearings for my Longboard? Q: What kind of wheels do I need for my longboard? A: The type of wheel will depend on two things. What are you planning on doing with your longboard and your skill level. Beginner – Soft and wider wheels for better grip and softer riding. Intermediate/Advanced – Hard and narrower wheels for faster turns and speeds. Longboarding has been around for some time now and its no longer a “surfer” thing. Its one of the fastest growing sports and as a result there are many manufactures of longboards. Manyy are newcomers, some have been around for decades. Atom – Its impossible to mention longboards and not mention Atom. While they they have only been around since 2005, they have gained a solid reputation. Sector 9 – Started in La Jolla in 1993 from a garage, has grown into a global brand. Penny – Started over 30 years ago by Ben Mackay has made it his mission to create quality longboards at a price anyone can afford. Jucker Hawaii – Started in Hawaii as you might guess by Mr. O’Barns and Mike Jucker. Both have been surfing, skateboarding and wanted to create their own line of quality longboards. I hope this guide was helpful for finding the best longboard to fit your needs. If you want to comment or recommend a longboard I didn’t include, please use my contact form to get in touch. Remember to be safe; wear a helmet and maybe invest in some gloves as well!